How many booster stages can SpaceX store at Cape Canaveral? How big is their rocket storage hanger at the Cape? There are 3 boosters there currently to my knowledge, plus 1-2 being prepared for launch, but I'm curious what the full capacity actually is. The storage hangar at Launch Complex 39A at the Cape according theverge.com, can store in total up to five boosters at once. Looking to the SpaceX successful landings, it rises the possibilities to have more consecutive 1st stage landings sooner then they thought. Imagining the time when Falcon Heavy will be operational, then a new storage hangar or an increased size of the current one will be needed. 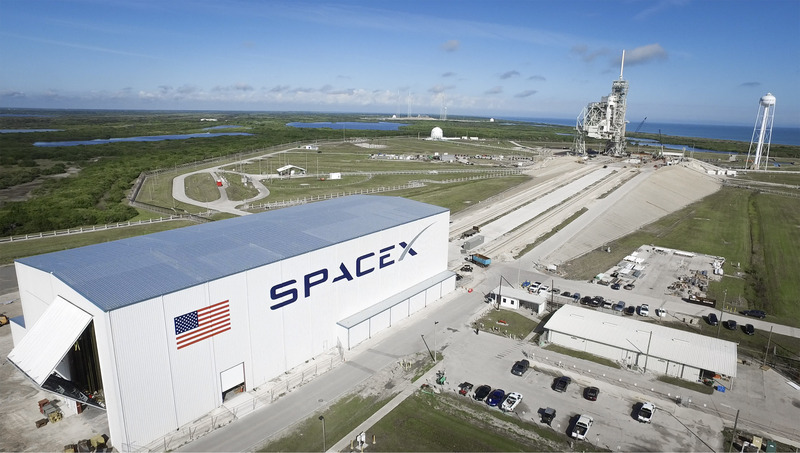 SpaceX storage hangar at Launch Complex 39A in Cape Canaveral. Inside view of the SpaceX storage hangar at Launch Complex 39A in Cape Canaveral. Not the answer you're looking for? Browse other questions tagged rockets spacex falcon-9 storage cape-canaveral or ask your own question. How much fuel can SpaceX save by landing the Falcon 9 booster on a barge? Why is Dragon the only spacecraft that is currently in use to not need a fairing for launch? How many 1st stage boosters will SpaceX settle for, for its LEO/GTO fleet? How many engine firings can a SpaceX Falcon handle? How effective are Falcon 9 1st stage grid fins in the last few seconds before landing? How far south can one see a rocket launch from Cape Canaveral, Florida? Why were three engines used for the F9 1st stage landing burn (BulgariaSat-1)? On the Falcon Heavy, why are the side boosters using Ti Grid fins, but not the center core? How many SpaceX 2nd stages are in heliocentric orbits?